MOTIVATED SELLER!!! Older home with lots of charm. Located on the East side of Linton close to the park, schools and shopping. 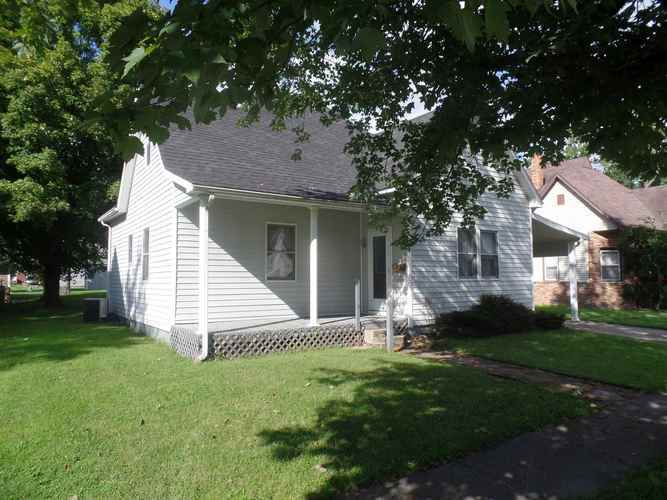 This 2-bedroom with 1 and 1/2 bath sits on a quiet side street. Just perfect as a starter or someone who is downsizing. Living room, eat-in kitchen and a large family room for any size gathering. Covered front porch, attached carport, large back yard and a storage shed for all your needs. Directions:Heading West on State Rd 54 into Linton turn right onto 8th St. Turn left onto E Street and property is the third house on the right.